This week has been filled with migrating bird arrivals. 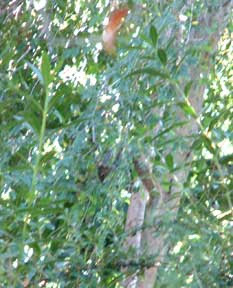 I thought I heard the hermit thrush early in the morning on Thursday the 16th. Then, to my delight, I spotted my traveling friend two days later. The hermit thrush returned one day later this year than in 2007. I’m a bit concerned because much of the fruit that the thrush would usually be eating has either already ripened and gone or never developed this summer. The first white-crowned sparrow of the winter season arrived on Wednesday, Oct. 22. It’s the latest they’ve arrived in five years. In 2004 they arrived September 22nd. Each year since they have arrived a week later. Unfortunately, the little traveler was startled by a morning dove acting unusually territorial and she hasn’t been back. The two male Oregon juncos returned on Friday, Oct. 24. These two males have been winter residents in our yard for the past three years. A few females join them on occasion, but these two males are regulars. It would be fascinating to know if they spend the rest of the year together or just come south together for the off-breeding season. They are two-weeks later than last year, but nearly the same date as 2006 and earlier than 2005. This morning, Monday, Oct. 27, the first yellow-rumped warbler rested on the bird bath and tried to grab a deer fly hovering above the water. The yellow-rumps usually arrive in October, but this is later than usual. I’ve been keeping an eye open for other warblers passing through, but haven’t seen any as yet in the yard. There is one other bird that has yet to arrive, the ruby-crowned kinglet. This tiny bird with a big personality is one of my favorite winter visitors. I'll be keeping an eye out for him. How do I know when all of my migrating visitors returned in previous years. 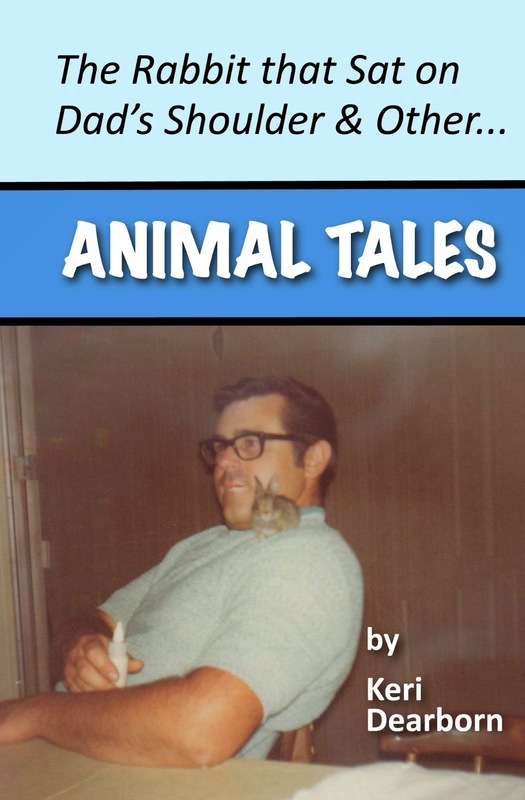 I've developed a book for tracking the bird activity in my yard. 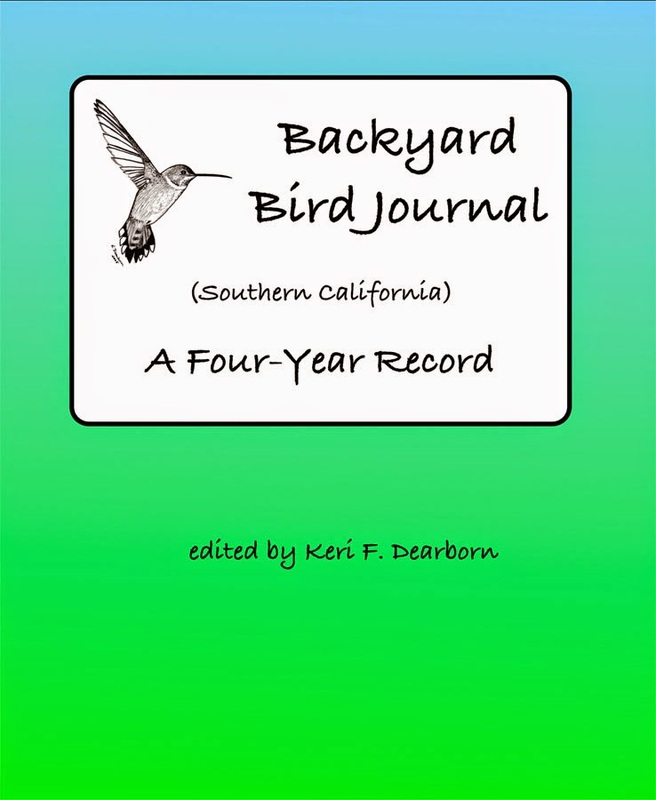 The Backyard Bird Journal allows you to track the day-to-day bird happenings in your yard and to keep track on a monthly basis which species are present. More on that next week. 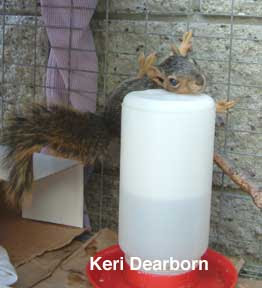 If you'd like to attract migrating wild birds to your yard - Bird Feeder Basics. October 14, 2008 - The billowing smoke of yesterday has become a permeating brown haze. All the windows in my house are closed, but the smell of smoke fills each room. I'm running the fan just to pull smoke out of the air, but I feel the layer of soot on my skin. The fires are miles away, across the valley, yet the wind has been blowing this direction since the burning began. A smudgy russet veil colors everything. The band-tailed pigeons sit nervously in the neighbor's eucalyptus tree. They can't seem to decide if it is safe to come down from their perch. A feeling of hesitancy hangs heavy. Sirens blare, speeding down the street. Where are these fire trucks headed? Has the wind really stopped? Is this place safe? Where is the fire now? While the fire departments work tirelessly, we all wait. Wait to see if the wind will die down. Wait to see which direction the fire will head. Pray that watchful eyes will spot any new blazes before they become roaring flames worthy of a name. 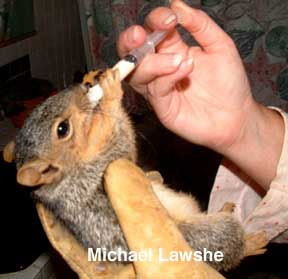 Well, it has been a week and two days since we took in the baby fox tree squirrel that had either been abandoned or separated from its mother. The first two days she needed hand feeding, warmth and a safe place to sleep. She was almost catatonic the first day. Gradually, she perked up, her coordination improved and her food desires went from goat milk to solids. By the weekend, warm weather and her improved motor skills made it possible for her to handle being outside in a wire cage. The past two days she spent the whole day outside and yesterday I watched her talking squirrel, via her waving tail, with another fox squirrel in the yard. Last night she slept outside in her box in the cage. Today, I opened the door and gave her the opportunity to go out into the world. 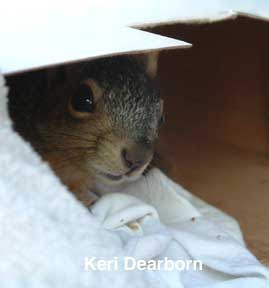 It is a hard thing to let go, but this afternoon Teeny is up in the tree eating elm seeds with the other squirrels. She isn’t very high and I did see her take a tumble, but she went right back up in the tree. The neighbors who found her and delivered her to the doorstep thought I should keep her as a pet. But a squirrel is a wild creature. If she is able, and she is, then she should be out in the world. It also would be illegal to keep her. But disregarding the legality, it wouldn’t be ethical, it would be putting my desire to own something over its right to live a wild life. Anyway, Teeny is back where she belongs. [OK, she doesn’t really belong here because she is an introduced species, but...] She has will to live and desire to be free. Will I put out food for her? Probably, if she comes looking. But if she is anything like the hummingbirds of this summer, she will do fine on her own.